Includes ereader only. No cables included. Bezel is cracked along the right side. Device is cracked but is in working condition. 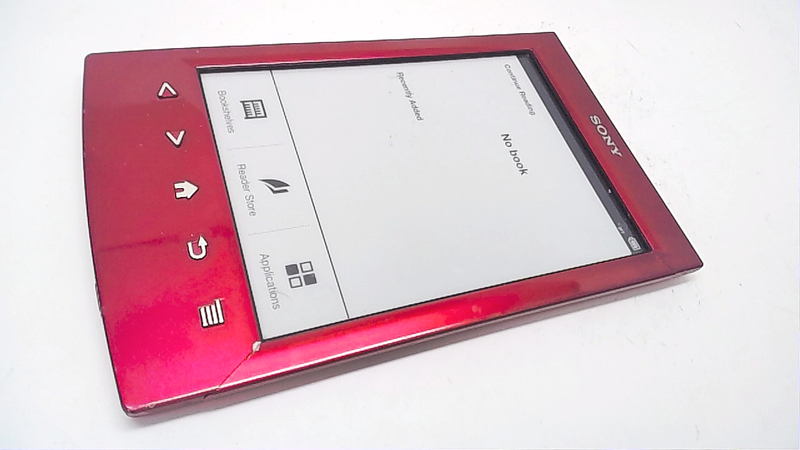 Curl up with a good book or two, or 1,300 for that matter, with the red Sony PRS-T2 eReader. 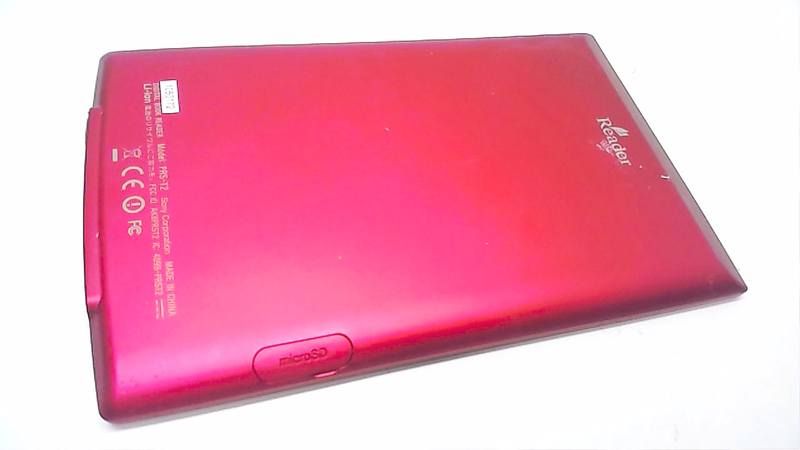 Chief among the features of this eReader is its Wi-Fi connectivity and access to the public library for wireless lending -- so you can start building your library of eBooks right away. EPUB, PDF, and Text formats are all supported, whether the books are transferred to the device wirelessly or not.